Launch up to Urquhart Castle at an adrenaline inducing 30 knots to soak up the history, without getting soaked to the skin. Imagine being launched from the south bank of Loch Ness at an adrenaline inducing 30 knots (35 mph). It’s fast! A high speed pleasure ride like no other. 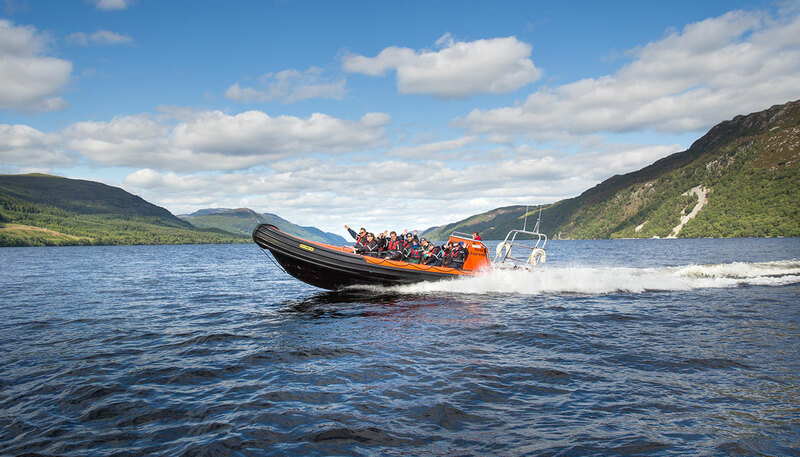 We’ll zip and glide and take you for a thrill ride across the loch all the way to the magnificent Urquhart Castle and back, with frequent stops so the best tour guides on Loch Ness can share their endless wisdom and jokes - if you can call them that.